Have you ever noticed when you try to push your anxiety away, it gets worse? No matter how much you try to stay busy and distract yourself with other things, anxious thoughts float up to the surface. And because you can’t seem to fight them away, you feel even more anxious. It’s honestly a vicious cycle to be in. Fighting your anxiety will never get you where you want to be. Resisting it just doesn’t work. What does work is embracing it. Which most people find uncomfortable to do when they’re sitting smack dab in the middle of a panic attack. That’s because they think embracing means to love your anxiety. And who loves anxiety!? Not me, that’s for sure. But what embrace means is accept it for what it is. Without trying to change or fix the situation. You don’t have to like it and you don’t have to force yourself to do anything. All you have to do is allow your anxiety to exist with you. Similar to an annoying fly that will not leave you alone in the summer time. 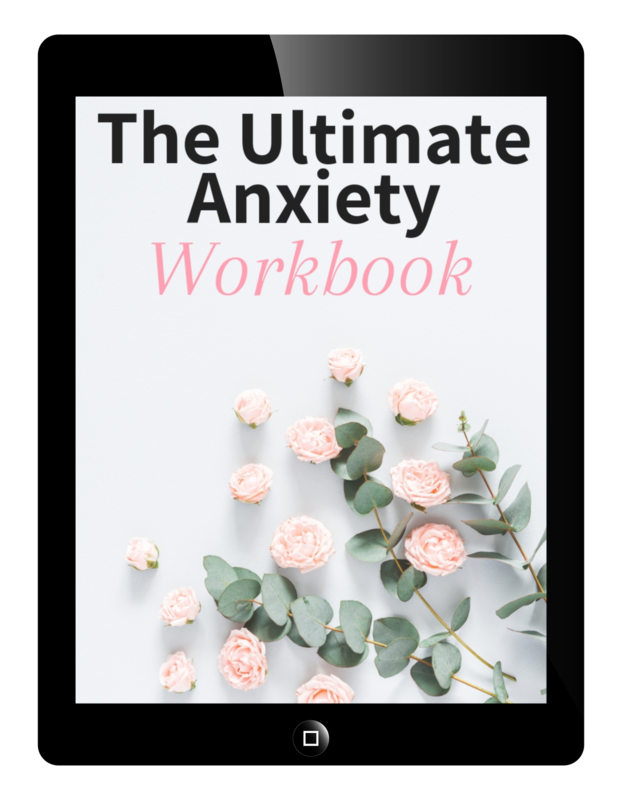 Are you interested in learning more about how to accept your anxiety in order to reduce it? Ok, let’s get started! Pay more attention to how you’re talking to yourself during highly stressful moments. When you’re feeling really anxious, are you internally telling yourself negative things? If you find yourself saying negative things when you become anxious, use the S.O.S technique. S- Stop: tell yourself “stop!” to pause the situation. Pause your thinking and don’t dig any further into the negative hole. This is your chance to identify the specific negative thought and interrupt the cycle. O- Observe– Observe what you’re saying and how its making you feel. S- Shift: Shift your mindset. Start with changing your thoughts to a positive one, then create a positive feeling through that. Once you’ve created a positive thought and feeling, you can then turn it into a positive action. Have you ever given yourself a few minutes to sit with your anxiety and understand where it’s coming from? Most of the times we try to push it away. Some people use unhealthy coping strategies like alcohol or smoking. They just can’t bear feeling anxious. But that only covers up the problem temporarily. Work on figuring out where your anxious thoughts are coming from. What is triggering this? Once you take a moment to learn why you’re anxious then you can put a plan in place to solve the problem. Imagine if this was a close friend that was having this problem instead of you. How would you react? You’d probably start by showing some compassion towards them and telling them that everything is going to be ok.
It’s easy for you to do that because you have a different perspective on the situation than they do. And that’s how you can work on managing your own anxiety. By changing your perspective. Sometimes we get so zoomed in on our problems that we don’t think clearly. When you’re so close to your problem, you might not even see a helpful solution because your brain is too focused on the problem. Take a step back. Imagine flying high up into the air to where you can barely even see your house. Think about if this problem is life threatening or not. And ask yourself if there was a time worse than this in your life that you’ve overcome before. Gaining some perspective allows you to untie some of those anxious thoughts, loosening its grip over you. Feeling overwhelmed and anxious are usually symptoms of a bigger problem. A lot of people forget to focus on taking care of themselves when they have a bunch of stuff going on. It’s just too easy to forget that you need a break, the right nutrients and to set boundaries. Instead of fighting your anxious thoughts, check in with yourself. Are you getting enough exercise? Do you feel like you have a lot of self-worth within yourself? Are you satisfied with your jobs and relationships? As you do this, you might realize there are parts of your life that are slipping away. And losing those things could feel threatening to you, which causes anxiety. If you find that you need to take a step back and reevaluate things, try to figure out a way that you can take care of yourself on a daily basis. It seems that part of the world is turning more and more isolated. Due to things like technology and the ability to work remotely. Being isolated and alone with your thoughts allows way too much room for anxious thoughts. As a form of taking care of yourself, it’s important to set up a strong support system. This starts with your close friends and family. Then intimate relationships. As well as co-workers and seeking therapy if needed. Each person in your life provides different things. And some people just won’t understand what you’re going through. Even if they love and care about you, it’s difficult to open up to people who might misunderstand what you’re going through. You can work on building a pyramid of a support group. And put in the people who you can rely on during moments where you need them. And if you can’t find anyone in your life who knows how to talk with you, then I always suggest speaking to a therapist. They can help you better communicate to your friends and family about your specific needs. When you decide to accept your anxiety instead of fighting it, you will start to feel a shift. It will require practice and patience on your part. But this allows you to embrace your anxiety for what it is. And when you start to do that, it’s much easier to go on with living your life. Things won’t scare you or worry you as much. You won’t feel crippled by your anxiety. And as you move forward with your life, you’ll recognize when your anxiety is popping up. It’s even possible to have high levels of anxiety and be able to quickly push through them.